Dish End are also known as Dished Ends. 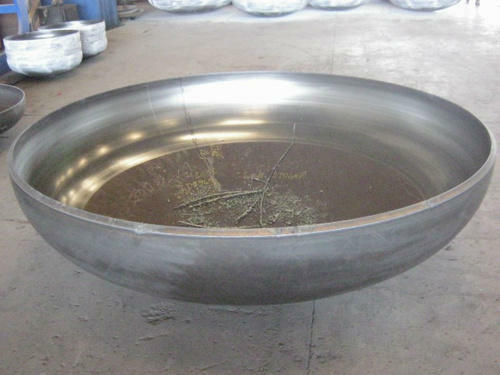 We manufacture and fabrication of all kinds of folliwng type Dish Ends at very affordable prices as per your requirements and drainwings. We “Duttason Engineers” are an ISO 9001:2008 certified company actively committed towards manufacturing and supplying a remarkable array of Electric Arc Furnace Equipment, Vacuum Degassing Equipment, Heat Treatment Furnace Parts, Chemical Plant Equipment, Dying Plant Equipment, Food Processing Tank, Steel Plant Equipment, Fabricated Equipment, Paper Plant Equipment, etc. We are a Sole Proprietorship enterprise that is established with a motto of providing premium quality range of equipment and spare parts to several industries. Founded in the year 1990 at Ludhiana (Punjab, India), we are providing a remarkable collection of equipment and spare parts as per the global set norms. Under the supervision of “Mr. Ambrish Dutta”(Proprietor), we have reached at the pinnacle of success.